Americans are less enamored today of the one-stop-shop supermarkets that dominated the grocery industry a generation ago, a trend that analysts say provides an opening for Amazon and other digital disruptors to fundamentally remake the way people shop in the future. Although Amazon became an e-commerce giant in part on the promise of offering everything from books to breakfast cereal under one virtual roof, the flip side of these technological innovations is a consumer preference that actually harkens back not just to a pre-ecommerce, but a pre-supermarket era. 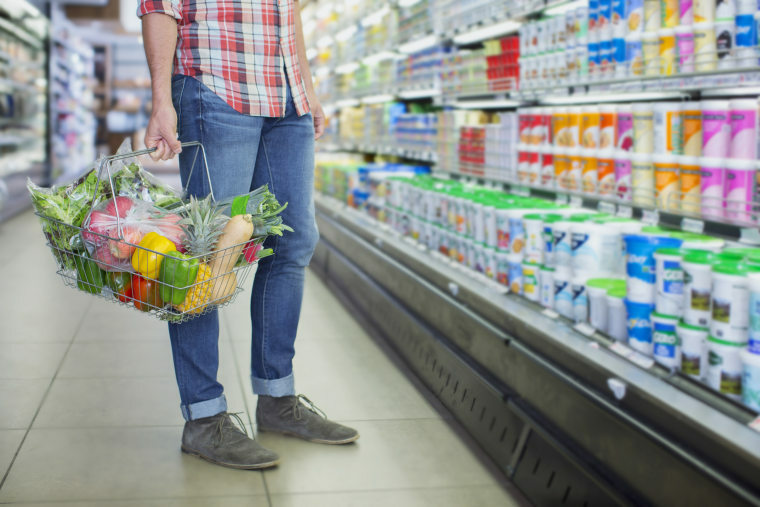 Half of today’s shoppers patronize three or more grocery stores, including roughly one in six who shop at five different stores, according to Magid research. This is due, in part, to the proliferation of options available to consumers as the grocery category gets more crowded. According to market research firm IBISWorld, supermarket and grocery revenue grew by 1 percent over the past five years. A strengthening economy and shoppers with more disposable income have helped traditional supermarkets as well as their rivals, which range from warehouse clubs and fast-growing “limited assortment” stores like Trader Joe’s to emerging competitors like convenience stores and Amazon. Perhaps counterintuitively, shoppers today see the use of multiple storefronts, both brick-and-mortar and virtual, as faster and easier than pushing a laden cart through nearly 50,000 square feet of merchandise. “Consumers have to spend a lot of time at these stores with each trip,” Darren Seifer, food and beverage analyst at The NPD Group, said of traditional supermarkets. “They’re using a range of ways to minimize their time in-store,” he said, including technologies that let people buy online for home delivery or click and pick up, and innovations like smaller-format stores and meal kits such as Blue Apron. This trend of visiting more stores, along with a correlating one of more frequent visits, is driven by younger shoppers, Magid found. More than one in five Americans grocery shop more than once a week, including nearly a quarter of 35 to 54-year-olds. For a generation that never knew a world without thousands of mobile apps at their fingertips or dozens of different ways to customize a morning cup of coffee, that means literal and figurative cherry-picking. Along with changing demographics, where Americans choose to live today is shifting how and how often they shop for groceries. “Consumers living in urban populations tend to purchase groceries more frequently from industry establishments instead of wholesale clubs and supercenters,” IBISWorld said in a January report. “What’s different about it is there were probably people living in these urban areas, but they weren’t of the same affluence — that affluence is driving money back into the core,” Sargent said. Growing interest in health and nutrition, driven both by millennials with young families and aging baby boomers, also plays a role. IBISWorld noted the “growing demand for all-natural and organic products” over the last five years. And grocery-shopping today is more of an equal-opportunity chore, Seifer pointed out, with men’s shopping habits driving some of the changes. “Men spend less time in stores. They’re more likely to use online services and they actually spend less money per trip,” he said. Making food shopping as painless as possible can deliver a competitive advantage. This is where Amazon, which announced plans to purchase Whole Foods Market for nearly $14 billion last month, has a sizable, although not foolproof edge, analysts say. Related: So Amazon Bought Whole Foods... What Does That Mean? “We should probably expect there to be some technological changes down the road when it comes to grocery shopping,” Seifer said. “Amazon has already been working on technology” to make shopping less of a hassle, he said, such as Amazon Fresh delivery and a storefront prototype that eliminates cashiers. “Online grocery shopping is going to become normalized with millennials,” Dorsey predicted, but retailers will have to find a way to get people comfortable with the idea of ordering perishables sight unseen. “In the grocery store, you can easily spot a rotten apple or examine meat product color. In the online model, someone or something else is being trusted to make your selection,” Ananda Chakravarty, a senior analyst at Forrester Research, told NBC News. “Amazon’s logistics network with short-term delivery provides possible opportunity but this would need outfitting with refrigeration and special packaging to accommodate food handling,” he said. Although its robust analytics capabilities combined with Whole Foods’ retail footprint will give it an operational edge, one challenge is that Amazon is running up against today’s customer expectation of being able to buy anything, at any time — a trend it had a significant role in creating.